Today our tour officially ended. 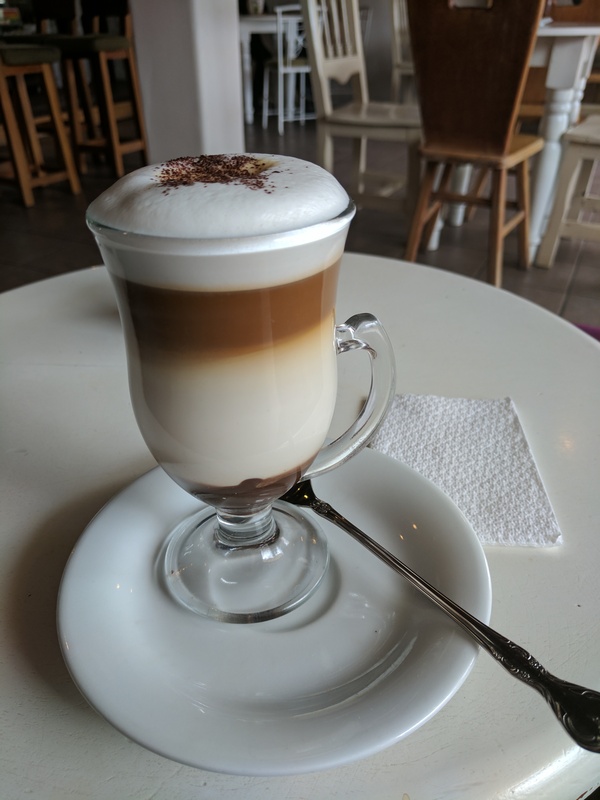 The morning was spent in my favourite café in Cusco having mocha, eating empanada’s and having lemon meringue pie whilst making some calls to friends and family at home. Once it was time, Christine and I headed back to the hotel to catch the transfer to the airport. The flight to Lima was quick and straightforward. It felt awesome to be back at sea level! It was so warm when we arrived. We have been used to 12° or so in Cusco, here in Lima it was 24° at 4pm. It was so good to see the sea again too. We checked in at the hotel, dropped our bags and then Christine and I had a lovely evening together. We walked around Kennedy square, popping to the market and buying a perfect keyring for each other. 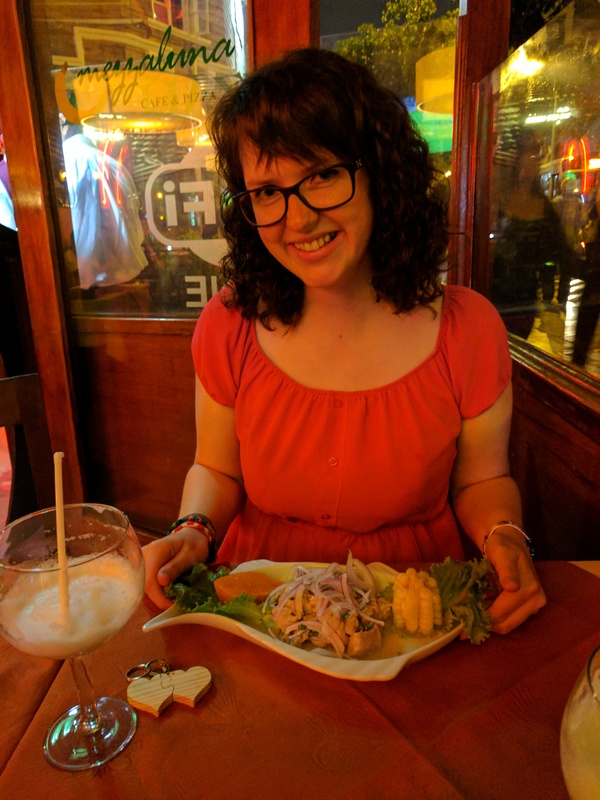 We then found a nice restaurant where we tried ceviche. It seemed a good idea at the time, but I should have thought of my delicate stomach (hopefully I’ll be fine!) The spice was so strong I think my lips are still burning! We had some lovely fresh pineapple juice and it was really good to reminisce about the last six weeks of our trip. After dinner we walked around the shops and park again. 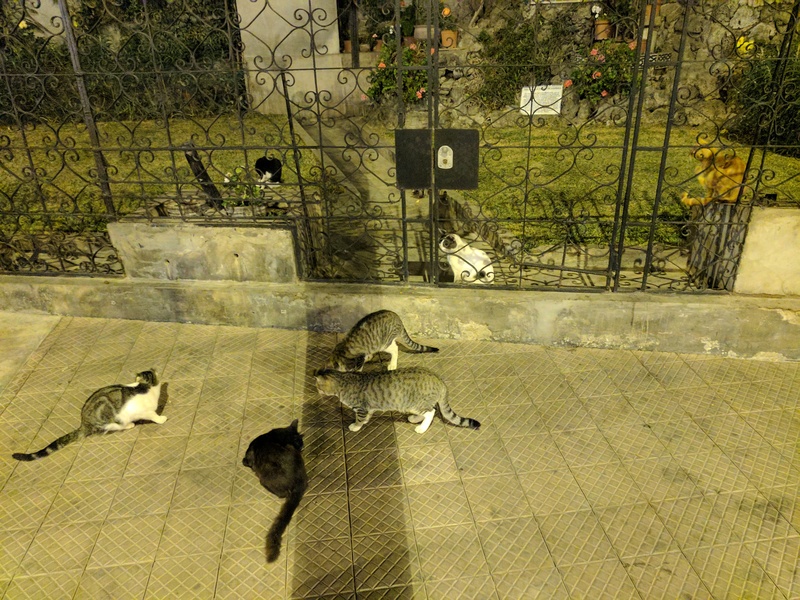 After hardly seeing cats anywhere in South America, it seems they all hang out in Lima!!! I definitely should have arranged to stay longer to hang out with them. 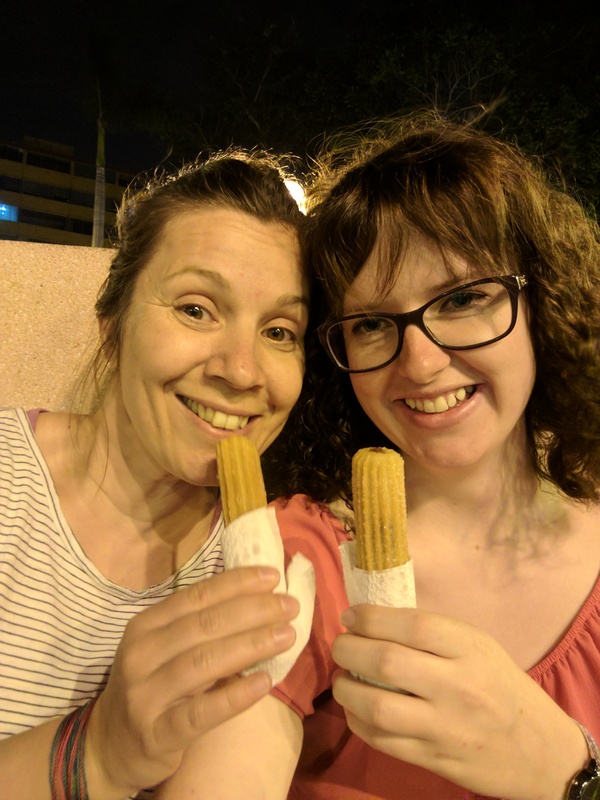 Of course walking round it was mandatory for us both to have a churro. 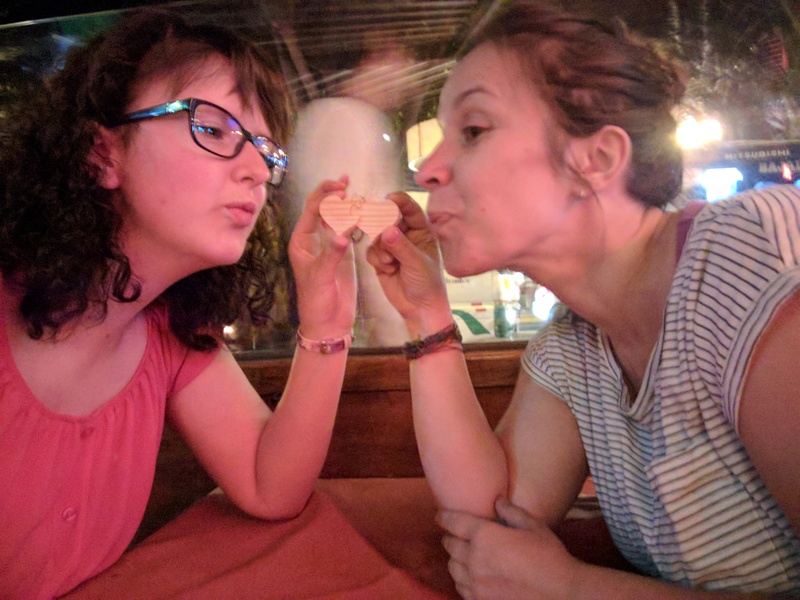 After starting our friendship with churros in Brazil, it only seemed right to have our last churro on this trip together. When we got back to the hotel, the last two from our original group came to our hotel room to say goodbye. We all had a laugh about our memories together and the stories we had to tell. Tomorrow we all leave for different destinations. It is all very exciting. I finally have my details for the next stage of my trip so it all kicks off tomorrow! I think I’m ready…..